of this neglected range of tractors that are on the up..!! 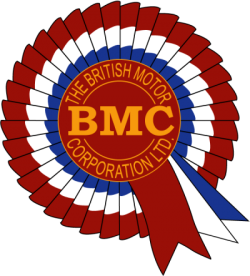 This site is the dedicated to providing top quality spares and advice on Leyland 154 BMC Mini 9/16 and Nuffield 4/25 range of Tractors.We are also on hand to provide spares and advice on the full range of Leyland and BMC car range as well..!! Please feel free to e-mail us on any problem,spares requirement or just general advice you need.If you have a useful link or contact that other users of Leyland Nuffield or BMC Cars or Tractors would find of interest.Please forward via e-mail and we will add it to the useful links page.I have had to alter some prices in the parts list, but this is the first for 9 years….!!! I can now supply parts for the 1622 cc petrol version on the Nuffield 4/15 and Leyland 154 Tractors. Please contact me for details.